some of the seasoned shoppers, Black Friday offers an endless array of best-of-year sales. It is important to keep in mind that not ALL deals are good. And being run over by crazed moms and dads is not worth it. Black Friday can for sure be overwhelming. So as we approach the holiday season, we wanted to help you keep your sanity and your safety. 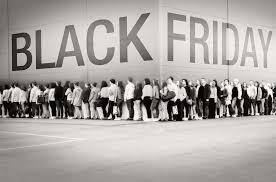 Here is DealNews article on dispelling Black Friday myths from reality so you can shop smartly this year.